Clients are the most important people for any organisation. 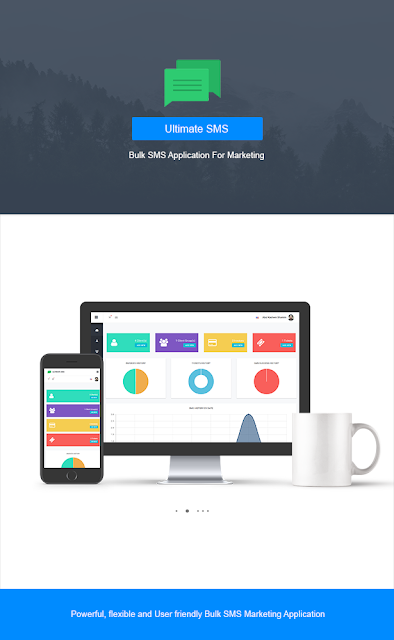 Ultimate SMS is a application that allows you to maintain a focus on your customer in a faster, simpler way. Build Professional & Great looking Invoices. Print Invoice or Send directly to your clients including Invoice PDF. You can also setup recurring invoices and pay with most popular payment gateways. Send your promotional sms to your clients using Client Groups or upload csv or excel files. Ultimate SMS automatically queues your messages, delivering to your customer one by one. With Scheduled Message, you can reach yourself or many people at once when you want to. Just select your client groups or upload csv or excel files and select your time. The message will deliver in correct time. Two way SMS is where you can both send and receive a text message to let you have a conversation with the recipient. You can send and receive a text message to your client using Ultimate SMS. Ultimate SMS provide you a clean, minimal & eye catching SMS history reports. You will get your sms history like mobile inbox. Create completely secure customized SMS templates that will help you to reduce your time. Just create your template, store in system and finally use when it will need. With dynamic SMS sender ID you can display your company name as the sender of a text message, turning a simple SMS into a powerful branding tool. You can block or unblock Sender ID for specific client. Ultimate SMS contain more than 36+ most popular sms gateways. You can send sms to your customers or client by using these gateways. You can also add your own gateway in Ultimate SMS which are not integrated. SMS API integration is the way to integrate SMS services on your panels like website, software. Advanced APIs and callable services give you the freedom to get creative with how you use. By using Ultimate SMS Coverage, you can set your availability. In which country do you want provide your service and in which country you don’t . You can also set your cost per sms for specific country. Ultimate SMS provides you to create different types of Price Plan for your customers or clients. You can set your plan features for specific plan. You can also set popular or not. If you want to provide excellent customer service, a ticketing system is mandatory. Ultimate SMS Support helps provide that great service to your customers and your never lose Customer Tickets again with Ultimate SMS. Role management helps you manage authorization, which enables you to specify the resources that users in your application are allowed to access. Role management lets you treat groups of users as a unit by assigning users to roles such as manager, sales, member, and so on. 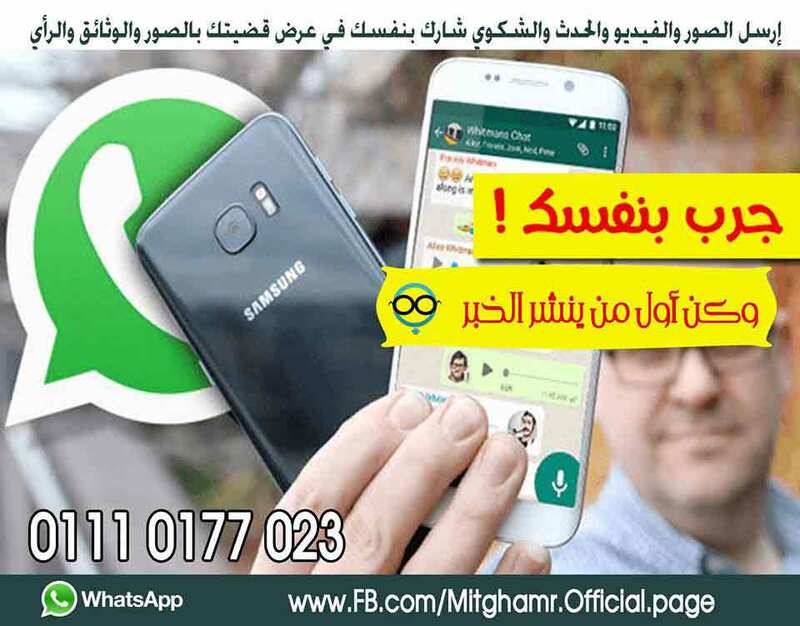 You can translate Ultimate SMS to any language. Just insert your translate country name, upload your country flag and finally translate your value English to You own. You don’t need any programming knowledge for that. Ultimate SMS include most popular payment gateways. You can receive payments from Paypal and Stripe in different currencies. There have a manual payment gateway which may contain your Bank Account or Any thing. By using Ultimate SMS, you can create unlimited users or customers and also provide them to create their own customer. And they can also maintain their customer from there reseller panel. 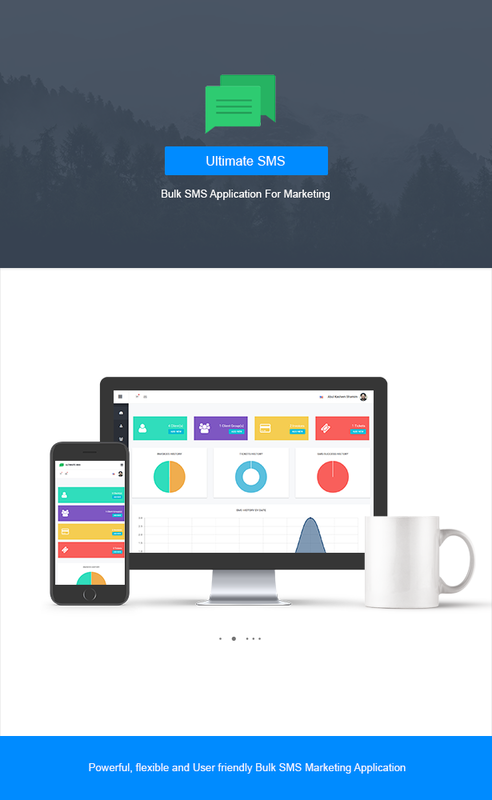 You can install Ultimate SMS easily with Ultimate SMS auto installer. Just follow instructions and click the button. The demo gets reset every 12 hours.